Jill and Michael Sayre love vulnerable children, and we’ve benefited tremendously from their passion and support. 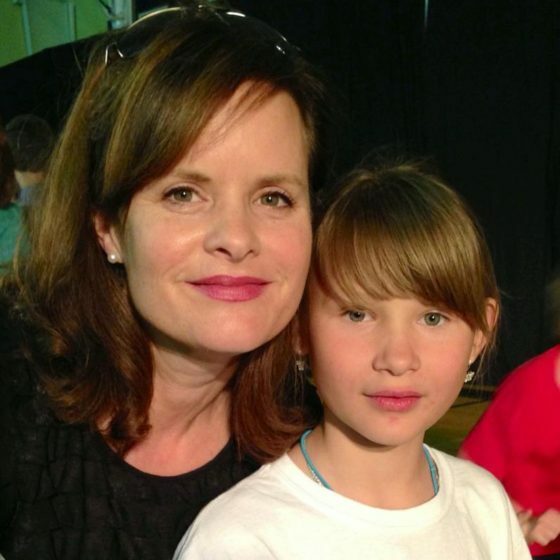 Their adoption story began when Jill was volunteering at a Heart Gallery event in Texas. She saw a photo of a boy in foster care who looked just like their 6-year-old. It was a powerful catalyst, and the Sayres began thinking about foster care and adoption. Later, a friend sent a photo of a young girl from an orphanage in Eastern Ukraine who wanted to join a short hosting program in the U.S. but didn’t have a “host family.” After a six-week visit, Sophia returned home. Jill, Michael, and their three boys prayed about it, then asked Sophia if she wanted to be a Sayre! Sophia was adopted in 2012. Michael and Jill wanted to keep helping in Ukraine, so they looked for “an existing organization we could hitch our wagon to.” Michael’s background in small-business equity fitted him perfectly to partner with Last Bell in launching the Restoration Project, in which a crew of orphanage graduates restores the homes of fellow orphans. 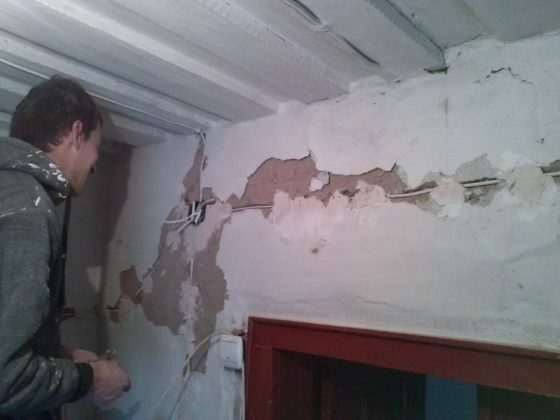 Jill has also helped fund the Restoration Project through Pure & Faultless Ukraine. 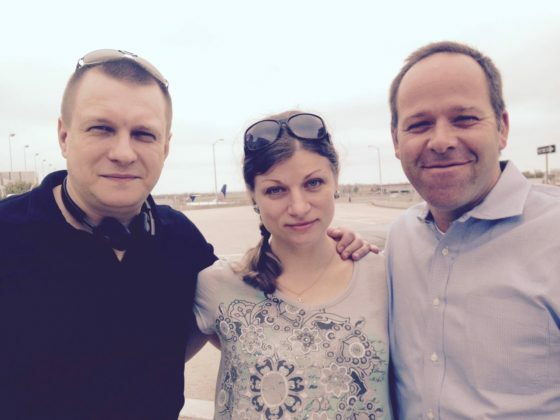 Michael (right) with Andrey and Oksana Pankyeyev. Andrey is Last Bell’s Ukrainian Director. Last Bell was already doing a lot. But when Andrey came to Texas in 2015, we asked, “What else needs to be done?” He mentioned two things. One, there’s not adequate housing for a lot of kids… And the other, a lot of young men graduate from the orphanage and have no vocational skills, no income. So the vision for Restoration Project was to create shelter for kids who don’t have shelter, and in the process teach young men vocational skills, give them an income, and engage with them in Christian mentorship. 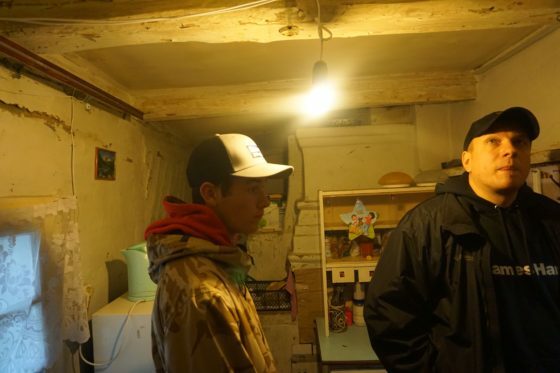 From Michael’s photos: Jill and Michael’s oldest son Cole (left) with Andrey Pankyeyev. 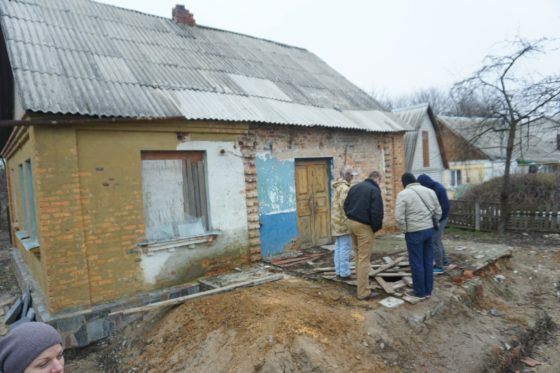 Cole accompanied Michael on a trip to Ukraine in 2016 to see Restoration Project sites. Note the condition of the room behind him. LB: How was Last Bell different from other organizations you looked at? Michael: As American partners or investors… we were looking for the most focused and cost-efficient organization we could find in Ukraine, that was attending to the most urgent needs, that also had enough transatlantic capability that we could be involved from the States but not have that take up a lot of effort and bandwidth. LB: Can you talk about how meeting the particular needs that Restoration Project meets contributes to Last Bell’s overall mission? Michael: Well, Last Bell’s mission is to love and restore orphanage graduates towards life and community. When kids age out of an orphanage, if they don’t have a place to live, that’s the first problem. 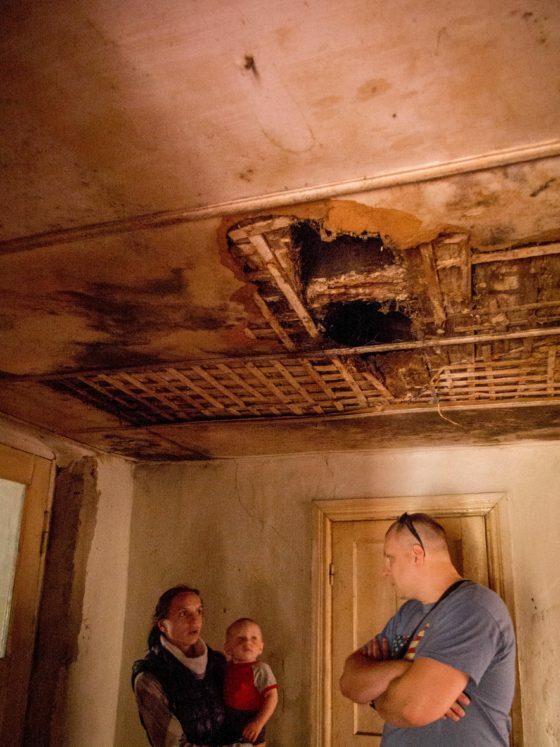 Many kids across Ukraine are living in sub-optimal conditions, or doing things so they’d have shelter… that were leading back to orphanages, the generational orphanage cycle. So we thought, if we can help solve the shelter problem and the income problem and the spiritual problem… then that’s a great investment. 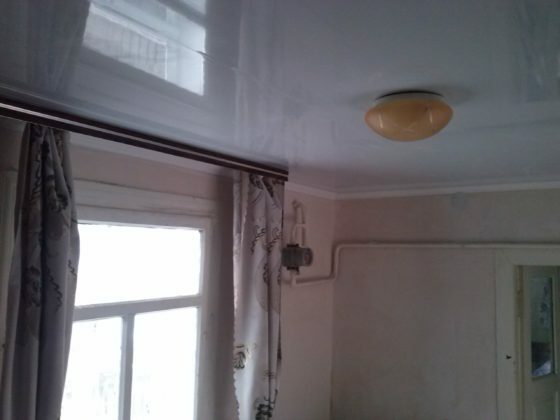 LB: I’m curious about the first time you walked into a home that needed renovation. What’s your emotional response to that…? Michael: Walking into some of the houses that haven’t been worked on, like Anya’s house in the city, or the Kaplun’s house, was, “Gosh, can this house really be restored?” And then walking into Katya’s house, the response was, “Is someone really living here?” So you can’t fathom that you can actually restore this house to livable condition… [or] that it can be done for only ten or twelve thousand dollars. But absolutely believing that anything we did to make it livable would be a remarkable improvement. LB: I’m curious about if there were any moments that struck you while you’re watching those guys work – “Oh my gosh, this guy is learning this skill, and I get to stand here and watch it happening”? Michael: I was first struck by the level of finish-out and the quality of the craftsmanship…. To walk back into Katya’s house – it looked like a beautiful European apartment. Then we spent some time at Sasha and Alona’s house… It was amazing to see the crew of three guys and Sergei there from sunup to sundown in a village outside of Zhytomyr, working with their hands up to their elbows in cement, and someone is doing tile and someone else is putting wall board up… [they] were doing all the different trades. In the States, I’m used to a general contractor finding a flooring guy and a roofing guy and a drywall guy… I hadn’t seen, in the flesh, guys my son’s age or a couple years older learning all those skills. They’re in the home with down jackets and wool hats on because it’s the middle of winter, and they’re returning it from the ashes. LB: Tell me what you see in Sergei, what strengths he brings to this role. Michael: Sergei obviously has great attention to detail. He has a real heart for the kids. He has grit and tenacity and sticktuitiveness. He has the long run in mind. He worked on his own home weekend after weekend for years… He’s working with kids who don’t have a background of having learned in a family how to be committed or show up every time, or to prioritize work over leisure. He’s doing a remarkable job of getting construction jobs completed but also mentoring kids who don’t have a family dynamic. We’re thrilled to see the successes of the Restoration Project transforming the lives of orphanage graduates. 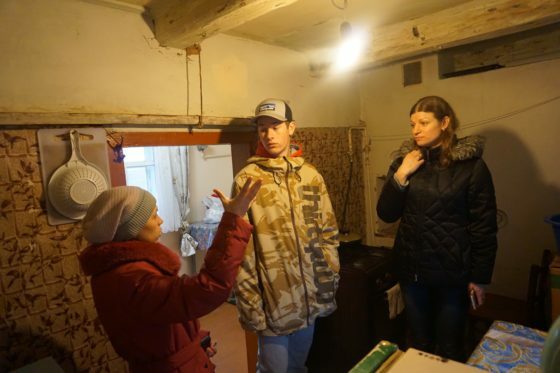 Because moms and dads have a safe home, their children will also have a safe home in the future – helping these families break the orphanage cycle in Zhytomyr! Donate toward the Restoration Project here.